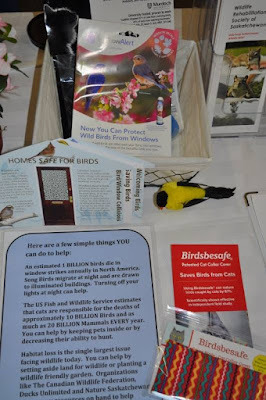 The Wildlife Rehabilitation Society of Saskatchewan (WRSOS) receives over 3000 calls every year from individuals who have found an injured bird or animal. Over 1000 of those calls come from southern Saskatchewan. 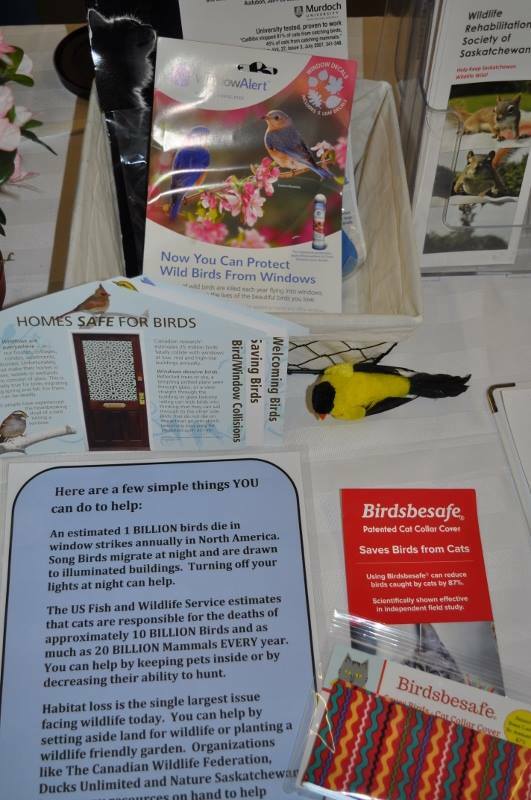 Unfortunately, WRSOS has fewer volunteers in the south, and care for these injured animals is often delayed due to increased transport and rescue times. It took 5 days to transport a White Phase Red-tailed Hawk with a broken wing to a vet. A Great Horned Owl was hit by a car south of Moose Jaw and has been waiting – with a broken wing – for over a week for transportation. It will probably die from starvation. 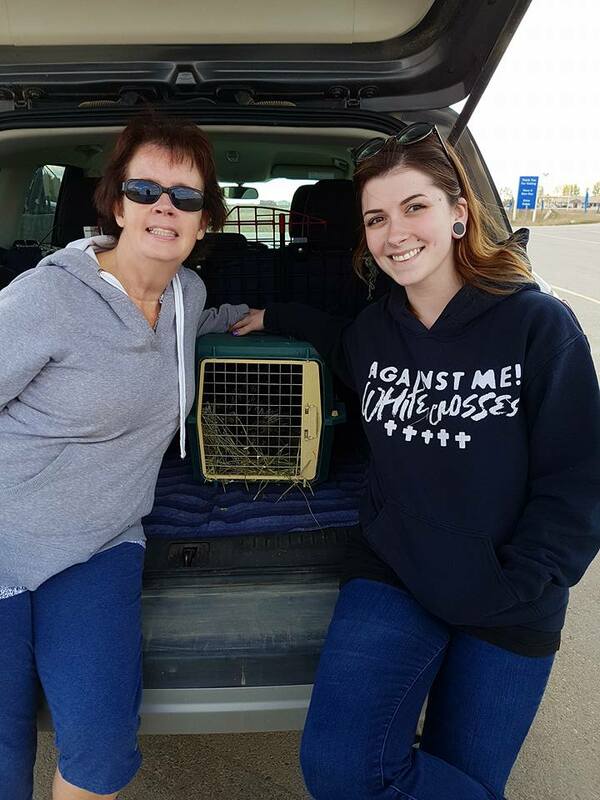 Saskatoon-based volunteer Bonnie (left), and Regina-based volunteer Erin met up in Davidson to transport a porcupine with a dislocated and fractured hind leg from Salthaven Wildlife Rehabilitation & Education Centre West to the Western College of Veterinary Medicine for further treatment. 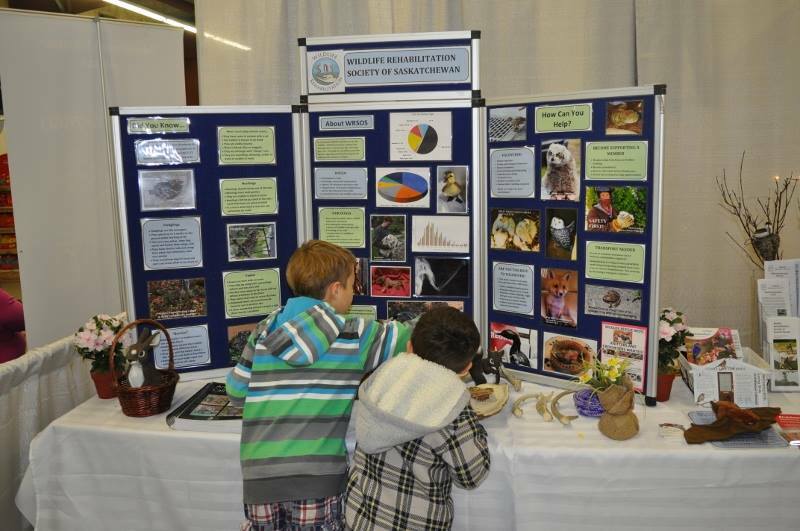 WRSOS applied for an EcoFriendly Action Grant to help them construct and transport an information booth to events in southern Saskatchewan in order to build awareness and recruit new volunteers. They took the new display to the Yorkton Pet Expo in September and 4 people expressed an interest in signing up and attending a volunteer orientation session. The WRSOS is looking for volunteers who are available during the daytime for hotline coverage and/or rescues/transports. Hotline volunteers check the answering machine and return phone calls from the comfort of their own home. Some calls are simple; others are much more complex and interesting. You always have someone on hand to call for advice. Volunteer orientation sessions are currently being organized in the following centres. Contact WRSOS for additional information and to register.